There are few cities with as rich of a history and culinary palate, than Atlanta, Georgia! 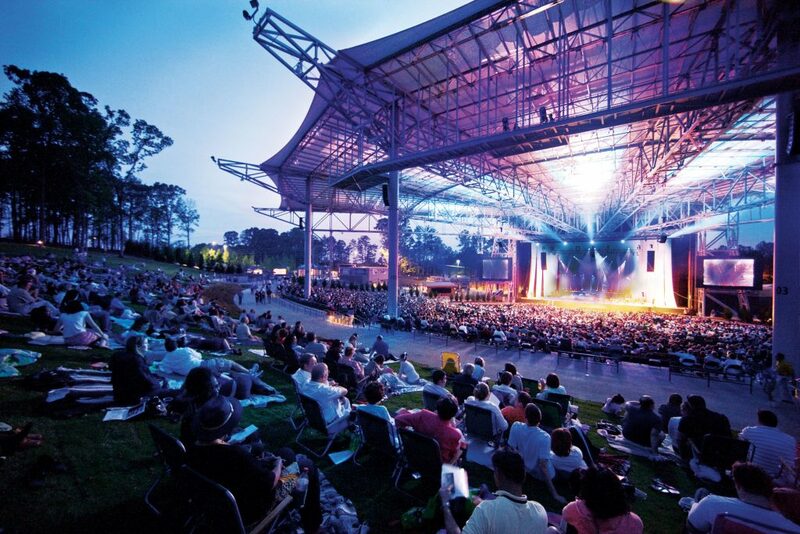 While you’re planning to get the most out of your remaining Summer of LIVE concerts, there’s plenty of unique Atlanta bites to savor surrounding showtime. Here are some prime picks for Atlanta food pilgrimages to complement your concert adventures. Hattie B’s Hot Chicken – the iconic staple started in Nashville – now has it’s very own location in Atlanta, only 8.7 miles from Lakewood. The hot sauce-soaked goodness is so popular that luckily Hattie B’s can even accommodate online orders ahead of time so you and your Lawntourage can try out this special treat on your way to the show, or tailgating before doors. If you’re hungry by showtime Lakewood offers options from food trucks like snowballs from Kona Ice, southern smoke from Doc N Roc BBQ, healthy bits by Nectar, and Tex Tacos onsite. If you can’t be beachside one more time this summer, Bay Breeze of Atlanta has got your back with a selection of seafood so robust, you’ll feel like you never left your weekend on St. Simons from only 1.8 miles away to your next show. A classic spot for summer concerts, fans can take advantage of Chastain’s proximity to all the hotspots of Buckhead like the craft-focused restaurant Seven Lamps, where you can grab community-inspired seasonal dishes and cocktails in an architecture-inspired setting just 3.8 miles away. Grab this nearby bite – or order ahead from Proof of the Pudding at the venue while sampling the amphitheatre’s unique array of craft beer offerings from Terrapin. Roswell and Alpharetta have a lot to offer before seeing a show, where it seems all the diversity of Georgia food meets throughout these neighborhoods. A great option just 4 miles away is Fú Express, which puts the highlights and diversity found along Buford Highway right near your next show. Located near Atlanta’s rap capital of College Park, Greedy’s is just 2.6 miles away from your next show, featuring signature burgers and killer wings that you’ll surely dance off as you head into the rest of your concertgoing. Grab their famous Suge Burger, then cruise to Wolf Creek. We make burgers that feel you up! Come check us out at our grand opening next Friday!